A Farmer knows each and every Acre of his Farm. Each Inch of the Crop, He grows. All geographical factors which affect the Yield. But, for decades, it has been a game of both experience and chance. We feel that with the relevant agricultural & related data, available at the right time, Farmers can make informed decisions for a healthier and sustainable agricultural eco-system. 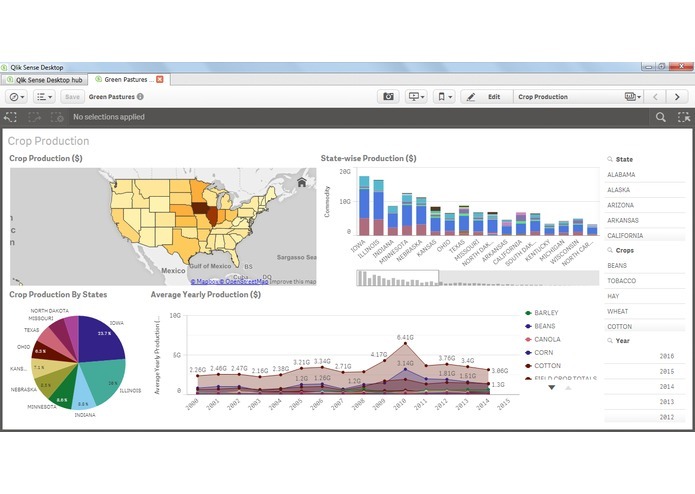 USDA has tremendous amount of data for food supply, economic demand, and remote sensing data as part of its National Agricultural Statistics Service (NASS) and Economic Research Service (ERS), and with the Right Visualization Tools, Big Data Analytics can help Farmers, Researchers & Consumers to a great extent. We wanted to build an easy to use and maintain solution, with maximum possible reach. 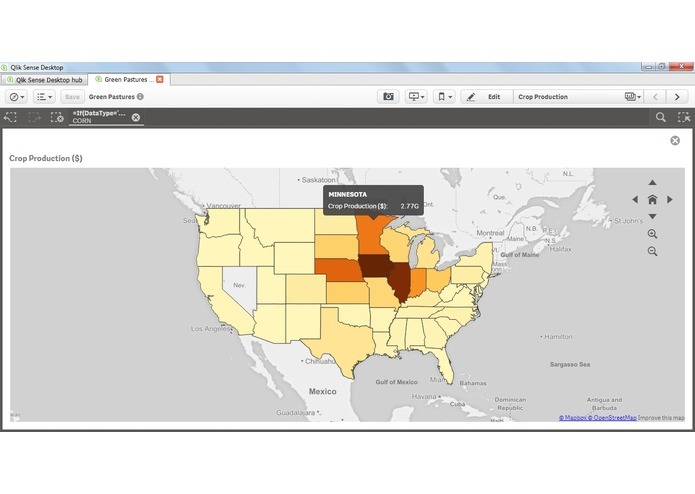 Our focus was on getting the right data available in one single application, where both the mighty datasets of NASS and USDA are mashed up under a single data model, along with other relevant datasets. 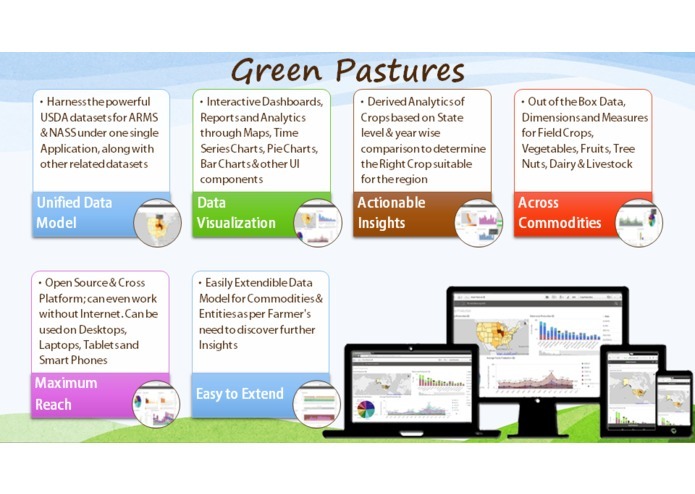 Thereby, we have built Green Pastures, a completely interactive application for users to view the dashboards, interact with it and to discover insights. It is available as a Zero Cost Desktop Application or can also be hosted on Server as a Web Application through a Licensing model and can be accessed on all Internet enabled devices with supported browsers. 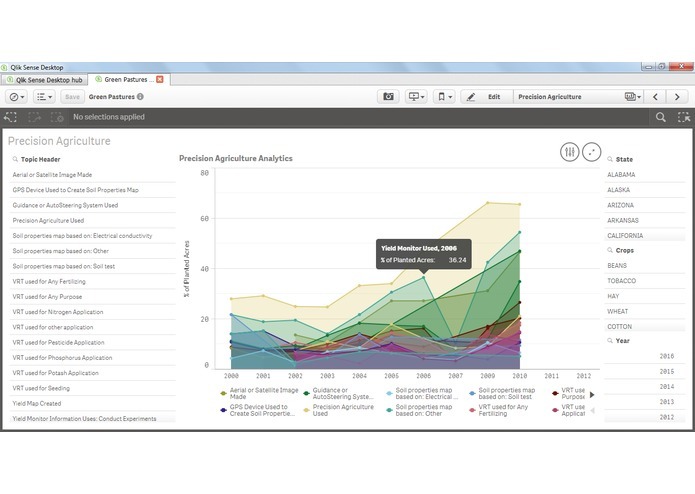 Green Pastures provides a mash-up of ARMS, NASS datasets, Monthly Precipitation datasets, Farmer Market details and other related datasets under one single application. And these datasets are linked up together so that Associative Insights can be obtained. 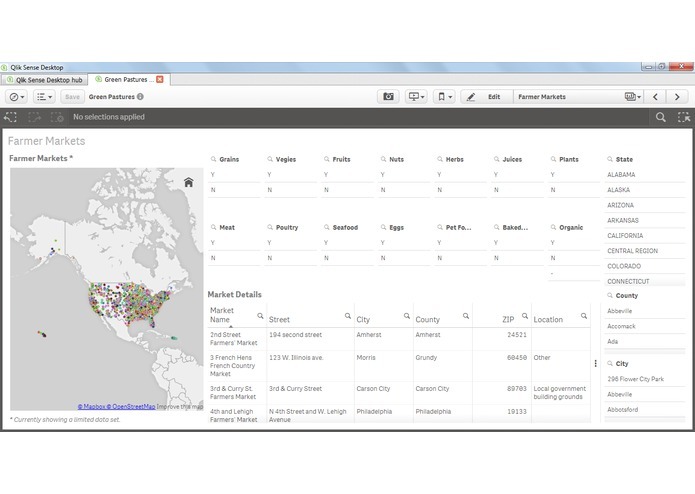 Selecting 1 dimension of NASS dataset will automatically display related information from ARMS and other datasets! 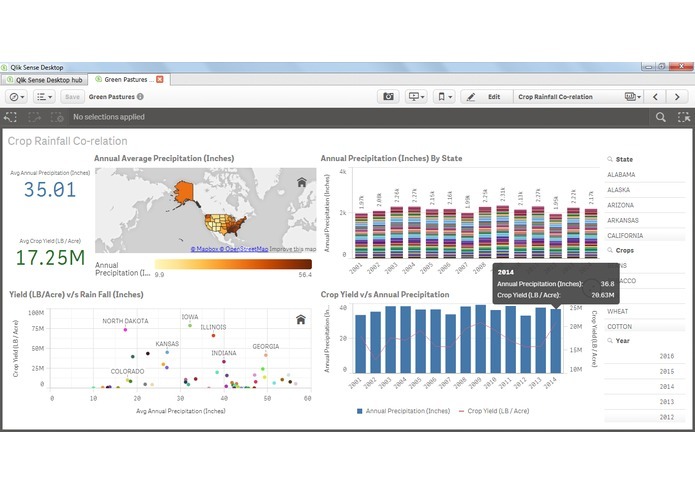 Using Interactive Maps, Pie Charts, Time Series Charts and Stack Charts, Green Pastures presents the details on various datasets including Crops, Vegetables, Fruits, Tree Nuts, Dairy & LiveStock.The data is co-related with Precipitation Data and Farmer Market Data is also presented for easy access to the right information. But, the scripts are open-source and can be easily extended to add upon further entities and thereby, increase the associative insights that one can obtain. The data are mainly imported at State level, for monthly or annual values for the past 15 years and can easily be extended to view at County or Agricultural District level. 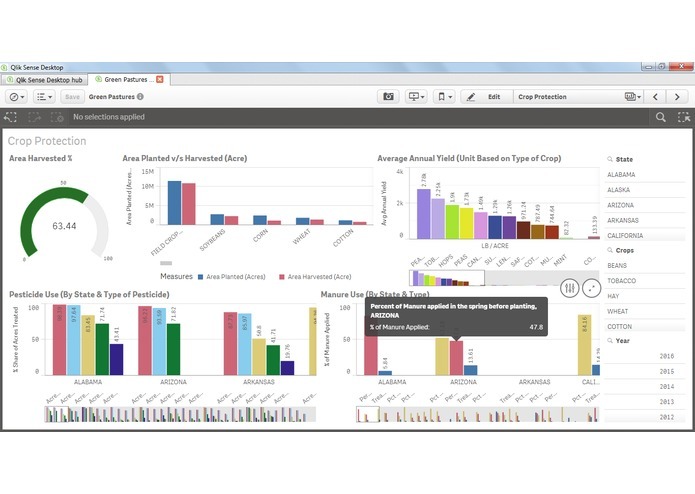 Green Pastures is built using the widely used QlikSense platform. 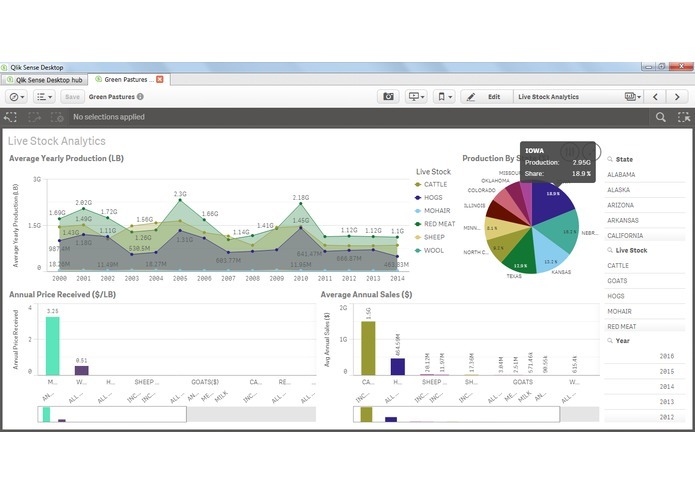 As a desktop App, Green Pastures can be used directly out of the box by installing the QlikSense Desktop - which is a Free Data Visualization Tool. We have got the ARMS, NASS and other related data sets in, along with 16+ dashboards to get the Analytics & Reporting going. The application is easy to configure, which can automatically load ARMS & NASS Datasets into it, for future dates, as and when the next set of files are made available. 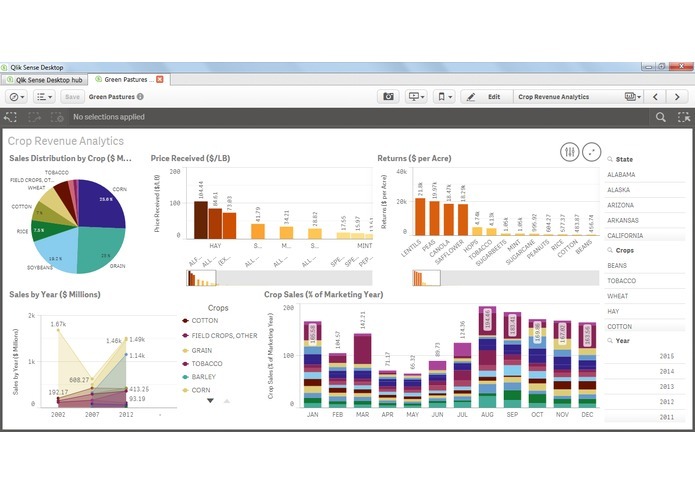 QlikSense Desktop also will allow Farmers & Users to create their own Visualizations to gain further insights. 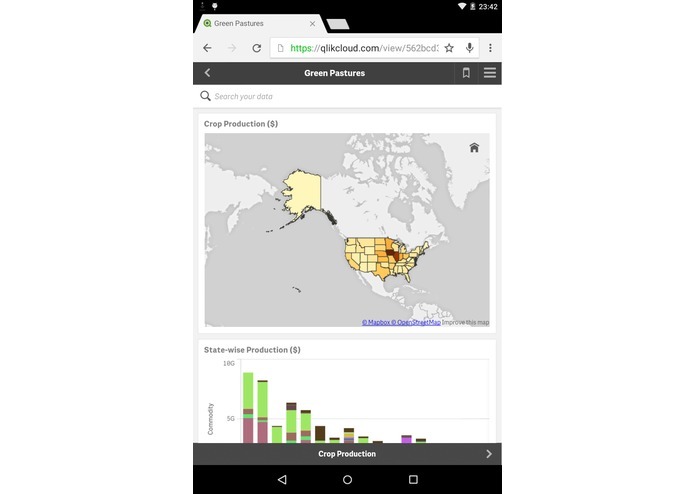 Using QlikSense Enterprise or Cloud, Green Pastures can also be hosted on Servers/Cloud, wherein Administrators can control the Datasets and Dashboards. 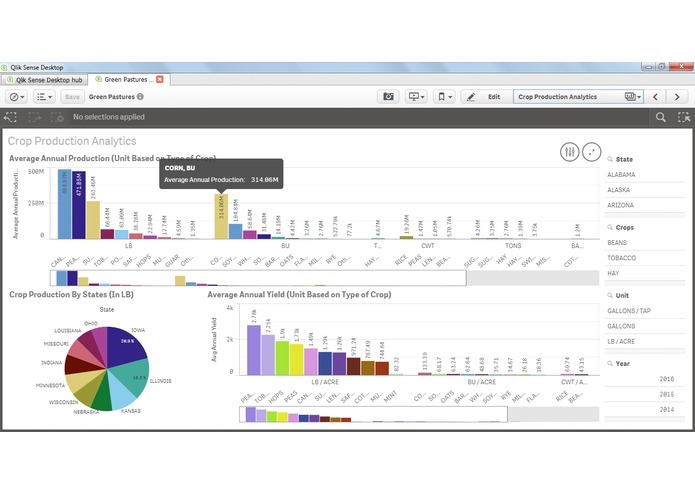 But this will increase the reach of the dashboards since they would be available through Web Apps, thereby accessible over Desktops, Laptops, Tablets, Smart Phones, or any Device which can connect to Internet and has a supported browser. 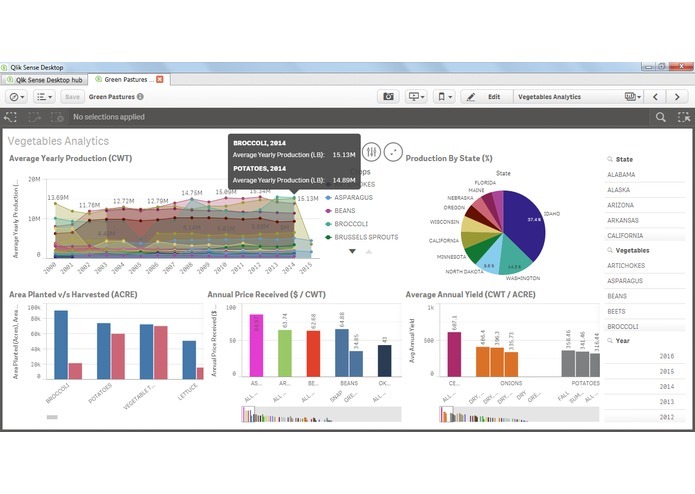 QlikSense Desktop version can be downloaded from the GIT, and the Cloud version (accessible on Web) is available to limited users, shared with the DevPost Team. Contact us, if you wish to have a go on the Web Application! 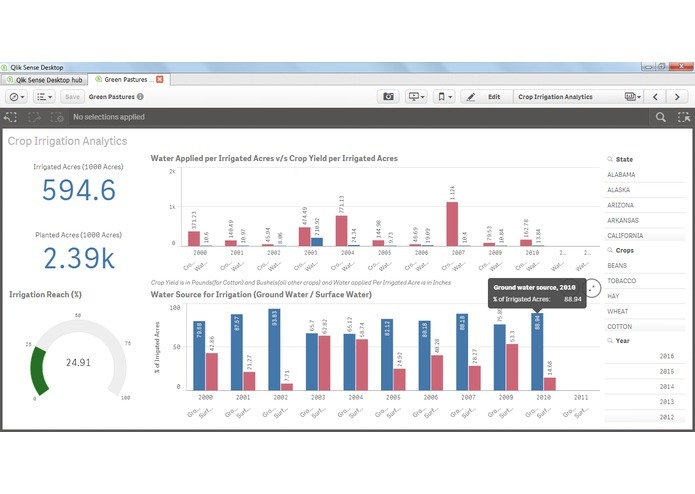 To get the NASS and ARMS Dataset under a common Data Model, with an associative linkage and thereby creating meaningful dashboards for Farmers to gain Insights. 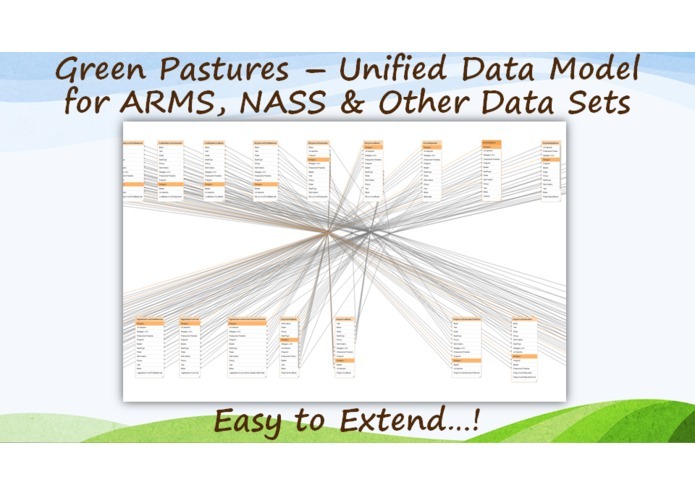 Green Pastures uses File Based Data Sets for ARMSDB and NASS in order to import the Data, and can automatically import new data as and when they are made available, by just placing the new files in the respective Folders (as per details on GitHub) and running the Load Scripts. But, we plan to extend the data import functionality by directly connecting to USDA APIs, rather than file based data import. Also, Green Pastures currently has data at State Level, which can further be extended to granular level (County & Agricultural Districts), based on data availability.